Not huge news, but the NFL released the international games, and we are the road team vs. the Rams. I'm glad we didn't lose another home game. You seem really excited about it. Maybe I can talk my wife into making the trip. This is all I cared about. I'm indifferent to playing overseas. 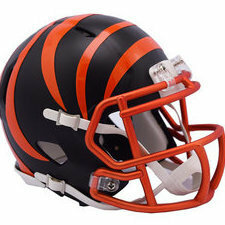 Maybe this will spur the return of @LondonBengal? Also, i did a mod thing and merged the duplicate topics. I see him every once in awhile on Cincy Jungle. I've tried to convince to convince him to return. Do we know anything abut Mr Cinci? I'm hoping the coaching staff turnover will bring some guys back. We lost a few recently, and i blame Marv.